Pemex has concluded a round of upgrades to its refineries which means that all fuels made in Mexico are now “clean” (ultra-low-sulfur). 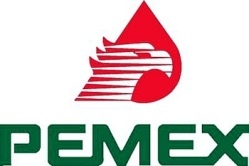 Pemex refineries produce 420,000 barrels of vehicle fuels a day, but national demand is for 800,000 barrels a day. Imported fuels, which come mainly from refineries in Texas, already meet ultra-low-sulfur standards. The state oil giant has invested 1.7 billion dollars in modifying its six refineries to produce only ultra-low-sulfur fuels.